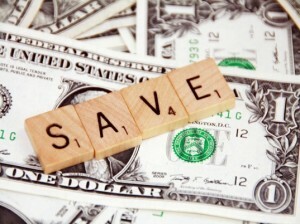 BarterQuest Blog » Think barter, grow richer! Bartering is fast becoming an increasingly popular business growth strategy. The U.S. Department of Commerce estimates that 20% to 25% of world trade is now done in barter. Corporate barter is now a 20 billion dollar industry (corporate barter is only one type of barter). Everyone from business corporations on the New York Stock Exchange to small home – based businesses are jumping on the barter bandwagon. Judging from all the emails I received from my previous barter article (if you missed it, you can read it on my blog, quantumprofits.blogspot.com). I intend to really delve into specific barter strategies that companies can easily replicate to lower their expenses and by default boost their profits. These strategies I will be discussing are highly valuable in the sense that they are very practical and more importantly if they are applied properly, companies can rake in millions of Cedis in profits depending on the size of the company’s operations.I have not only discussed the issues but I have included real – life cases of companies practising these barter strategies and profiting immensely from it. My idea is to show you that these strategies really work and that your company can and should also take advantage of these opportunities. With the right barter system incorporated in your company’s marketing and procurement strategy, your company can save large sums of money. Once your company has clearly identified the capital items needed, be it computers or cars; the company can then contact a competent Barter consultant (BC) to help identify the appropriate swap partners and to ensure a smooth transfer. It usually becomes very necessary to use the services of a BC if the swap is not direct. The BC will usually introduce other parties into the transaction to ensure that the deal goes through smoothly. In the same vein, barter can be adopted in financing operating expenditures at huge discounts. Once the company identifies all key operating cost centres such as internet expenses, telephone charges, fuel charges etc. The company then works with the BC to identify companies who provide such services. The BC will then have the responsibility of ensuring that your company receives what it needs without necessarily paying cash. To do this, the BC will also have to satisfy the supplying company, sometimes this requires the introduction of a third party who wants your products and has what the supplying company needs. To illustrate, recently a client of mine (a major player in the media industry) financed large portions of its capital items including cars and computers and also key operating expenses such as yearly internet services as well as end of year employee gifts (flat screen TVs) through barter. The company thus saves millions of Ghana Cedis by adopting this system of business. An international air courier company in competition with Federal Express hired a barter firm to help finance its entire advertising campaign. The barter firm secured the advertising for the company and paid not with cash but in air courier credits. The barter firm’s job in this case was to convert the credits into cash (only to new non – existing clients) for onward payment to the media house. In the end, the courier company enjoyed its advertising up front, kept its cash reserves intact and more importantly lots of the cash conversion barter sales (some of which were Fortune 400 companies) have continued to use the air courier on a full–cash–paying basis long after their barter credits were used up. So far, in the eight years since the original trade was done, nearly 24 million worth of resulting “cash continuation” business has occurred as a lucrative “by – product” of the initial one – time barter transaction. Whiles this example is foreign, it is entirely practical in Ghana. For instance in the last couple of months, my company (QuantumProfits Consult) helped negotiate a barter advertising deal worth over GH 80,000 carried out by a major furniture outlet across different media without a cedi changing hands. Apart from the company enjoying increased business, brand awareness and recognition from the advertising campaign, it has also enjoyed lots of referral business from the customers who bought the bartered goods from us thus leading to huge residual benefits for the company. Carnival Cruise Lines, a Florida based cruise line, which is now one of the largest cruise lines in the world started with a single ship and very little operating capital. The company through its barter agency traded empty cabins for radio, television and newspaper advertising in 100 cities over a ten-year period. The underlying philosophy was very sound. First, the cost of an empty cabin once the ship sails is minimal. Second, the passengers usually spend considerable cash in the bar, casino, gift shop and shore excursions, thus the net cost to the cruise line to fill an empty cabin was literally zero. Stated differently, they made massive profits off the bartered cabins being occupied instead of going out empty. The strategy yielded huge dividends; they used the technique to become one of the largest cruise lines in the world and continuously advertised in 100 cities for more than 10 years without ever paying cash. More importantly the company generated over a $100,000,000 in revenue. The owner of the cruise line is now on the Forbes billionaire list. It all started with one thirty year old ship and heavy barter advertising. This strategy is very practical for companies within the hospitality and airline industries which have very perishable services. With the right barter strategy in place, such companies can advertise very heavily to raise more revenue during the yuletide period as well as create a strong brand in the long term. For hotels in particular who usually shun advertising as a result of revenue difficulties, barter is a wonderful option. This is because, apart from the fact that they can now get the all the advertising they want without paying in cash, people who purchase the barter credits still have to buy food from the restaurant as well as pay for other services the hotel offers, hence generating more revenue for the hotel. A major Japanese auto manufacturer had 1,000 cars that were in the U.S. that they had been unable to sell. With the help of a barter agency, the company bartered the cars to radio and television stations in selected markets at full retail prices. The advertising credits was used to introduce a new sports car that become a runaway success but which the company could not afford to previously run advertisements for. The bottom line, the cars were sold at full retail prices and millions were saved on the advertising schedule and the introduction of the new sports car became the basis of a blockbuster success for the auto manufacturer due to continuous brand awareness and visibility as a result to the advertising credits it acquired solely on trade. This barter strategy is also very practical for manufacturing concerns as well as importing companies, who may usually have a need to move out old stock to make way for new stock or new models. Rather than sell at heavily discounted prices which can create holes in the company’s account statements and create problems with stockholders, barter may be a smarter option which allows the company to sell at fair prices without affecting the company’s brand as well. Many companies issue employee and stockholder benefits in barter either for the company itself or for other bartered goods or services they have acquired. Christmas presents, sales bonuses, customer inducements can all be given without using cash. For instance, most of my clients do not use cash in buying Christmas presents for their staff. My outfit is very busy now bartering from flat screen TVs to hotel credits to be given to various employees for their wonderful service during the course of the year. Honestly, your company can and should be doing same. Truth be told the barter strategy is no discriminator of businesses, as long as your company produces a product or a service that has value to a certain customer group, your company has what it takes to cash-in from incorporating barter in your marketing and procurement strategy. After reading all these specific barter strategies and the accompanying examples, I’m sure you are wondering which strategy is right for your company. Well that’s the million dollar question. Finding out the best strategy for your company and implementing it properly could see your company slashing its cost down significantly and automatically improving profits. As I usually say, nothing substitutes for good professional advice. It is time to have a chat with a competent BC. The BC will help you find a good barter strategy as well as integrate it in your system with little difficulty so as not to completely upset your established organisational plan. Trust me, if you really want to get on the barter bandwagon, that’s the best advice you should heed to.